BioOne® is perfect for residential use. BioOne eliminates build-up such as hair, soap scum and grease that slow down and clog drains and the insides of pipes. The friendly bacteria eat their way through the waste eliminating the problem. Through natural biological digestion, waste build-up in drains is eliminated. 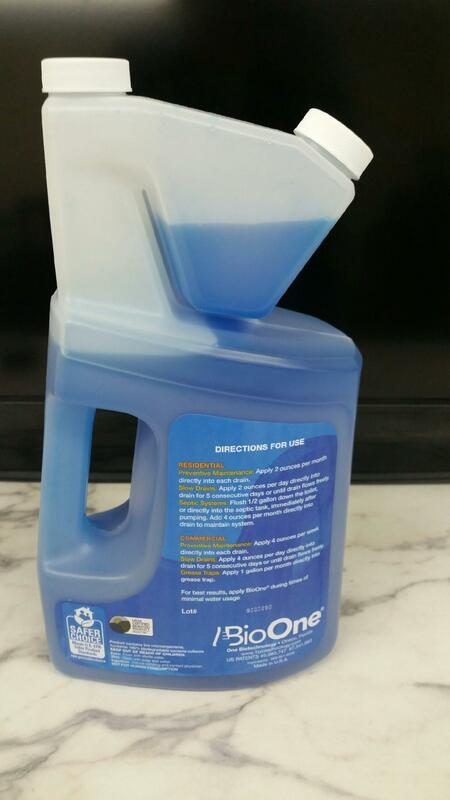 BioOne is a friendly bacteria that digests oil, grease and food wastes into water and carbon dioxide. It is ideal for clogged lines and grease traps as well as septic systems.